WaterPlay USA, the largest platform for booking water-related tours in the United States, has closed a $400k round of capital and added former president of Sabre Travel Network, John Stow, to their Board of Directors. The new capital comes from North Carolina-based travel and technology executives, including John Stow and Bill Spruill, founder of AddressDoctor (which was acquired by Informatica). This latest investment will accelerate WaterPlay USA’s growth in the nationwide travel activities market as well as increase its sales and customer support team. In addition to investing in WaterPlay USA, John Stow has taken a seat on the Board of Directors. John was the former President of Sabre Travel Network and Senior Vice President for Sabre Holdings (owner of Travelocity). Under John’s leadership, Sabre Travel Network enhanced and grew its leadership position by providing its travel agency and corporate customers industry-leading products and services. They focused on cost reduction through reinvention while increasing customer satisfaction and growing booking share. Featuring a software and reservation platform that revolutionizes the booking process for water sports and activities, waterplayusa.com currently offers hundreds of adventures across the country and in the US Virgin Islands. Featured businesses include local activity providers with specialty services like Jet Ski rentals, harbor boat tours, snorkel explorations, and surfing lessons. WaterPlay USA takes the effort out of planning and lets you get back to your vacation. “Travelers have scheduled their flights and hotels online for many years, why not find and reserve your vacation activities through a booking engine too?” said Walt Smith, Co-founder and COO. 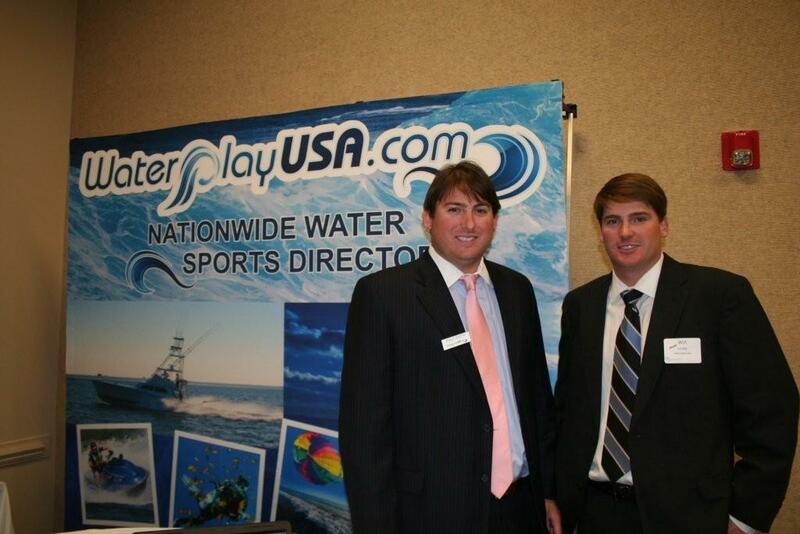 As WaterPlay USA enters the 2014 vacation season, they are focused on expanding growth in the US and internationally. "Having recently secured an investment of $400,000, WaterPlay USA is excited about the opportunity this investment allows. We are focused on expanding our geographical reach and enhancing our support to local activity providers,” said Will Smith, Co-founder and CEO. With the continued growth of WaterPlay USA, travelers have assurance that they are booking reliable and exceptional water activities around the world. New adventures are added every day, giving customers the opportunity to research future vacation destinations or book that once-in-a-lifetime excursion on a whim. Visit www.waterplayusa.com to explore their destinations, activities, and offerings. This is amazing! Awesome, guys!